Greece’s Ministry of Foreign Affairs has sent Tuesday afternoon the Note Verbale to the Macedonian MoFA, MIA correspondent reports from Athens, citing Greek diplomatic sources. According to MIA reports from Athens, Radmila Sekerinska and Evangelos Apostolakis, the defense ministers of Macedonia and Greece respectively, will meet Wednesday on the sidelines of the NATO Defense Ministers’ meeting in Brussels tomorrow. It is not excluded the possibility at the meeting Apostolakis to propose to Shekerinska Greece to train the Macedonian army. A reception in honor of the diplomatic corps in Greece was held today in Athens’ presidential palace. 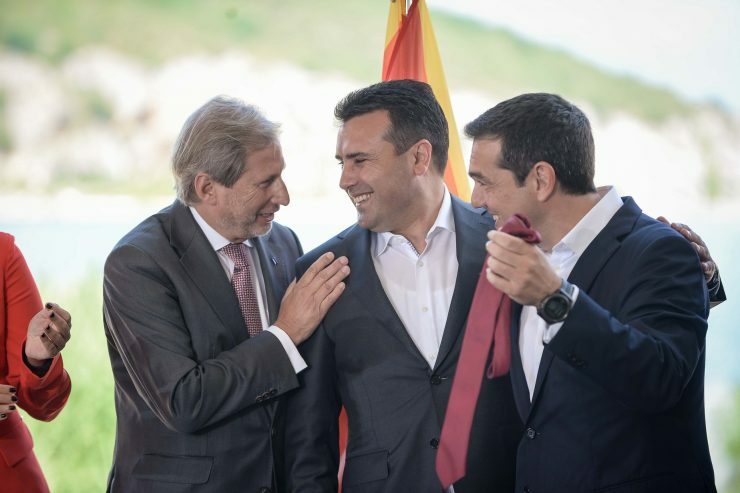 A total of 90 ambassadors and diplomats, including the acting duty officer in the Liaison Office of the Republic of Macedonia in Greece, Lidija Boshkovska, were greeted by the President of Greece, Prokopis Pavlopoulos and Greek Prime Minister Alexis Tsipras, MIA’s correspondent in Athens said. The reception was also attended by a number of ministers from the Greek government, including Alternate Foreign Minister Georgios Katrougalos, Defense Minister Evangelos Apostolakis and his deputy Panagiotis Rigas, Deputy Ministers of Foreign Affairs Markos Bolaris and Terence Quick, Citizen Protection Minister Olga Gerovasili, Shipping Minister Fotis Kouvelis, and also former heads of diplomacy and former presidents of the Greek Parliament.